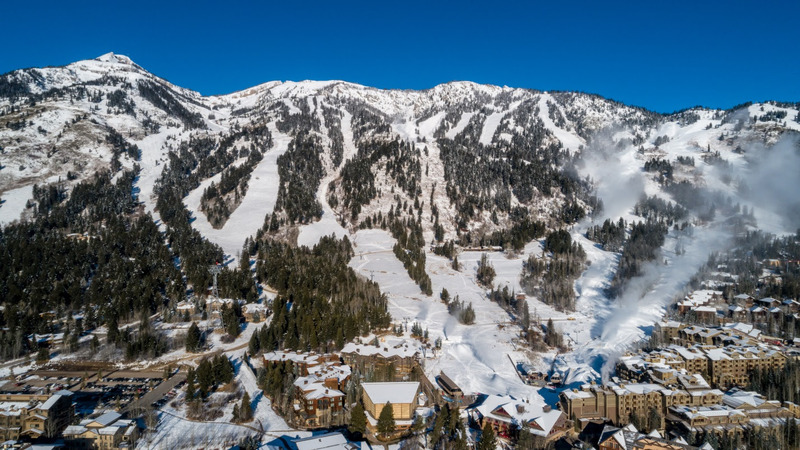 (November 15, 2018), Teton Village, WY – Jackson Hole Mountain Resort (JHMR) is pleased to announce a robust lineup of terrain and lifts scheduled for opening weekend. In addition to good snow conditions, early season vacation packages provide great value for visitors before the Christmas season. It’s a winter wonderland at Jackson Hole Mountain Resort, which opens for skiing and riding on Saturday, November 24th. Photo taken November 13, 2018. For Thanksgiving weekend, JHMR will be opening the Aerial Tram for sightseeing on Thanksgiving Day, November 22nd and Friday, November 23rdfrom 10am until 2pm. Corbet’s Cabin will be open those two days serving up their famous “Top of the World Waffles”. The skiing and riding season at JHMR starts on Saturday, November 24th with Teewinot, Après Vous, Sweetwater Gondola, and Casper Lifts all opening for the season. “The combination of natural snowfall and consistent cold temperatures for snowmaking has created optimal conditions for opening significant terrain for the season next week,” stated JHMR President Mary Kate Buckley. She went on to note, “We are excited for the winter ahead and look forward to welcoming our guests to experience our newest amenities, Solitude Station and RPK 3.” Solitude Station opens for the season next Saturday, November 24th, along with Casper Restaurant and Café 6311. RPK 3, the newest base area restaurant adjacent to the tram, opens early December. November and December are a great time to visit Jackson Hole, and this season is shaping up to be another DEEPcember with lots of natural snow blanketing the Tetons. Click here for fantastic DEEPcember lodging packages for 4 nights up to 7 night stays. Please stay tuned to jacksonhole.com for more information on lift openings, lodging, events and more. Click here for Teton Village winter parking and START Bus information.